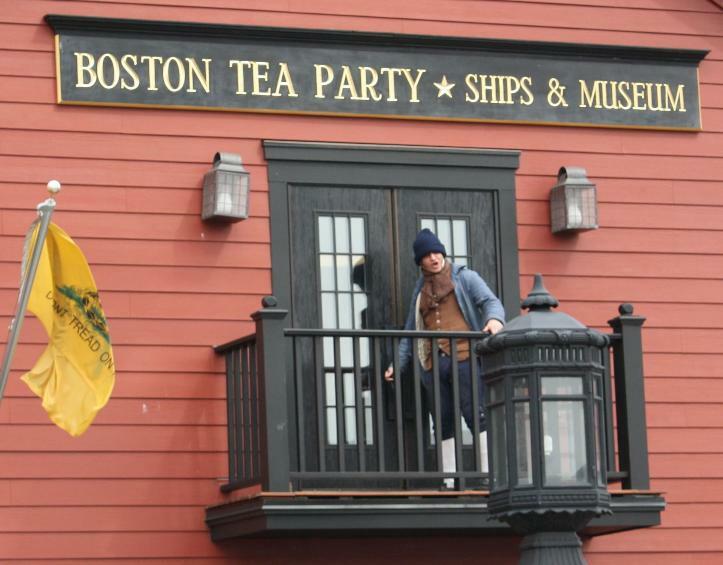 Historic Tours Of America (creator and developer of the Boston Tea Party Ship Museum) called on Lighting By Hammerworks to craft antique reproduction lighting fixtures for the museum depicting this historic event. Over 70 Hammerworks Early American lanterns (Garrison P-110 post light & WM-110 wall lantern) enhance the colonial atmosphere of this Boston venue. The soft light and authentic design of the Garrison lantern along walkways and around the museum work seamlessly with all the other details to create the ambiance of Boston in 1773. Since 1979 Hammerworks Colonial Reproduction Wall Light has been meticulously handmade with attention to detail and historical accuracy. Thus our process recalls the days when Colonial craftsmen took pride in their work. Most importantly, we make all of our lighting in America. First & foremost we handcraft each of our reproduction home wall lanterns out of your choice of solid copper or brass. Hence this insures that you will consistently receive a solidly built wall light. Therefore our Early American home wall lanterns will illuminate any doorway entry to your colonial home for years to come. Most of all the attractive design adds aesthetic value to any architectural home design. In addition to our collection of Colonial Reproduction Wall Light, we offer several coordinating handcrafted Colonial Post Lanterns. 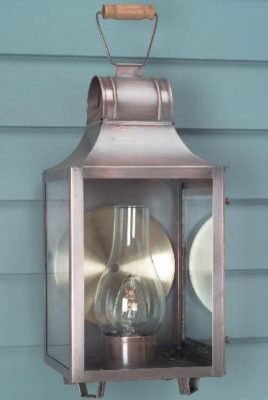 While we design our post lanterns to provide a glowing warmth, the beauty of solid copper or brass lanterns also provides a dramatic accent in daytime. Most importantly when choosing size and quantity of post lanterns, consider these factors: First of all do not shy away from size. The light may appear undersized if not scaled properly to the setting. Consequently the distance from the post light to the building, as well as the building size itself determines appropriate lantern size. In addition on long driveways, multiple copper post lanterns may be necessary to achieve proper illumination and aesthetic value.